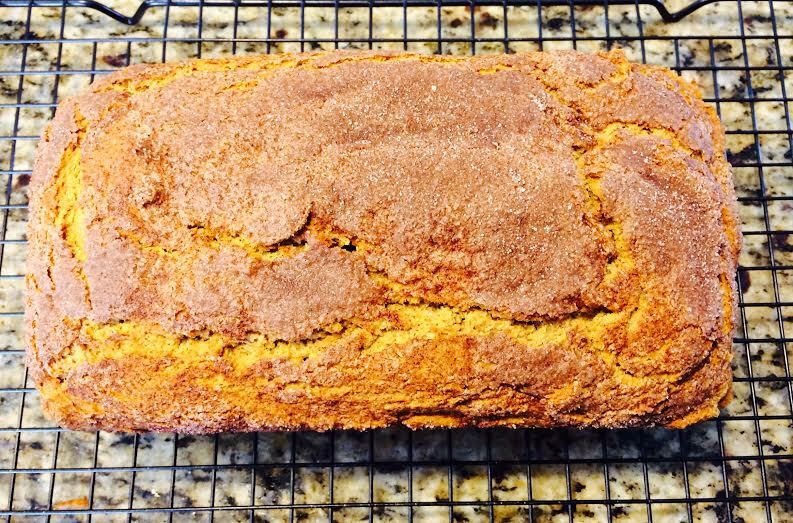 Pumpkin Spice Bread- Gluten Free!!! Nicholas and Giada are both in preschool part time and we are expecting #3 in a few short months. I was looking through the pantry and came across a large can without a label on it. I remembered that last year during the holidays my daughter peeled the label off of a can of pumpkin and all of a sudden I had a craving for Pumpkin Spice Bread- you know how those pregnancy cravings work. So I grabbed the unlabeled can and opened it hoping to find pumpkin. Now it was time to come up with a recipe to make a gluten free and dairy free pumpkin bread. I have said in many posts that gluten free baking doesn’t have to be hard. There is no need to fumble around with multiple types of flours. If you find a recipe that calls for a bunch of different flours just close it- there is a better way!!! I grabbed a loaf pan and pre heated the oven to 350 degree F.
In a large bowl mix together all ingredients. For topping mix together additional cinnamon and sugar in dish and set aside. Spray loaf pan with non stick spray. Pour the batter in the pan. The batter will be very thick! Take the additional cinnamon sugar and sprinkle over the top. Into a 350 degree oven it goes for 55 minutes or until a toothpick inserted comes out clean. The house started smelling great within 10 mins of it being in the oven!!! Let cool in pan for about 15 minutes then lift out and place on a cooling rack. Now you can wait until it is completely cooled or you can dig in! It is amazing! 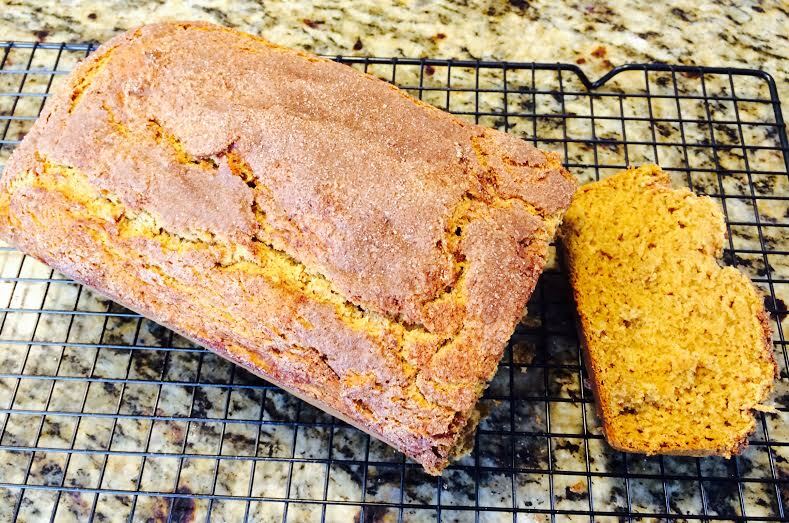 A fantastic Gluten Free, Dairy/Casein free Pumpkin Spice Bread that is soft, fluffy and not crumbly like a lot of other GF products.